Velvet Paw Creations: Tangled Raven - LeighSBDesigns New Release! 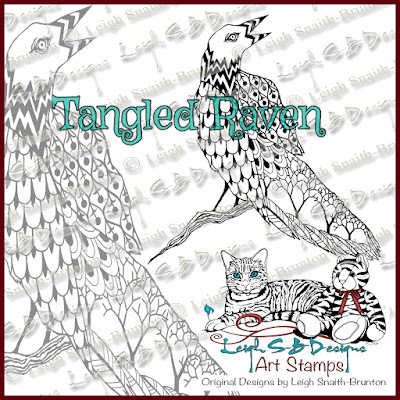 Tangled Raven - LeighSBDesigns New Release! I'm so thrilled everyone is loving my LeighSBDesigns Art Stamps digi releases so far, still plenty more to go and here's release #3! 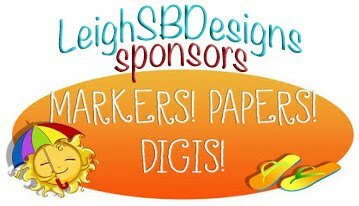 Smeared Ink fans will recognize this one from the Autumn's Pencil rubber stamp set I designed for them a few years ago and now I'm super excited to bring you the digis. 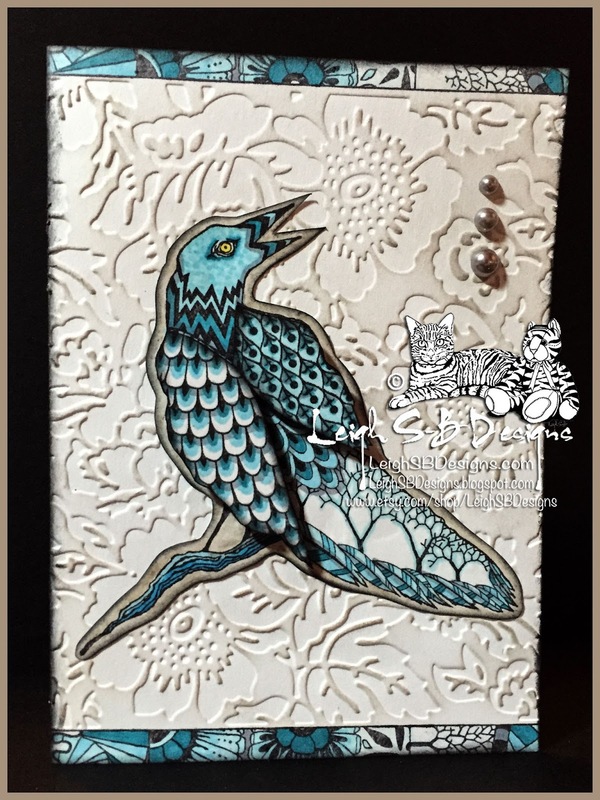 Here's some of my projects featuring him! 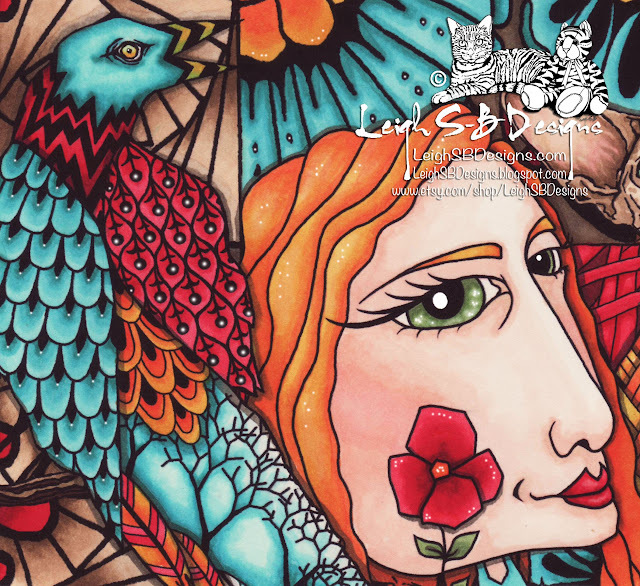 Here he is in a collage with lil Miss Oddleigh Flower all coloured with Copics. 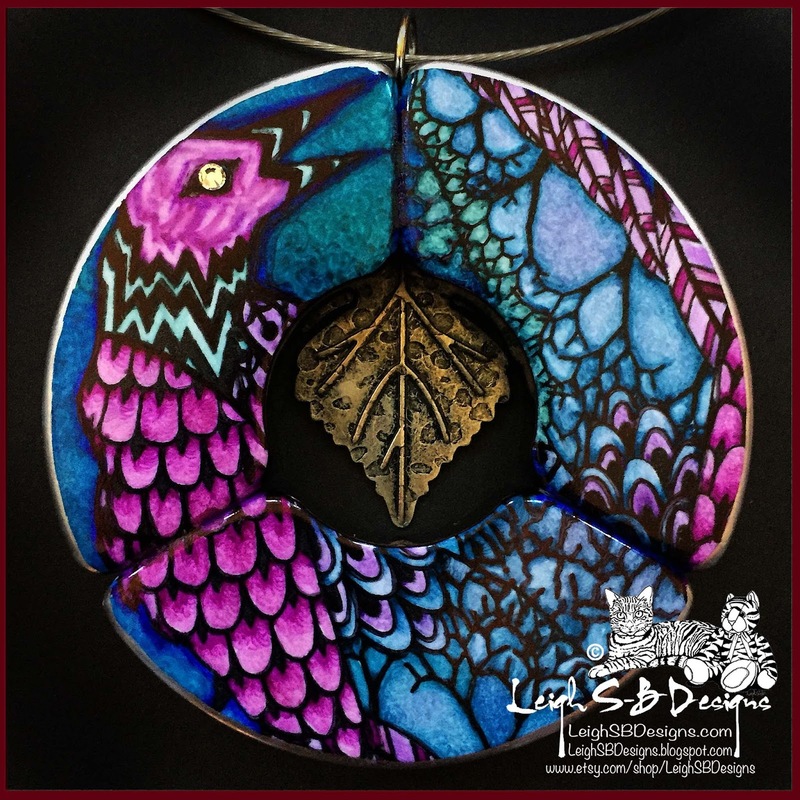 This is one of my altered game art pendants using Bendominoes, Sharpies and the rubber version of Tangled Raven which will be available in the future. 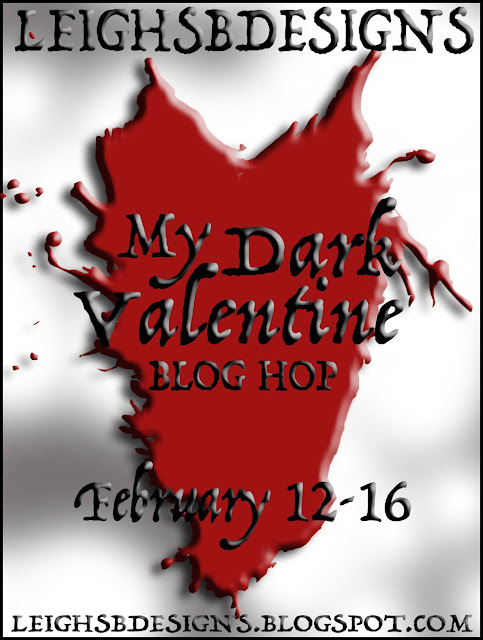 If you're just joining us for the first time today here's the scoop! 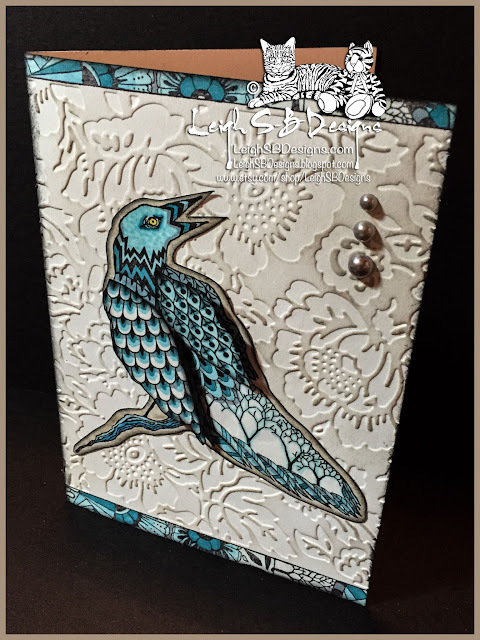 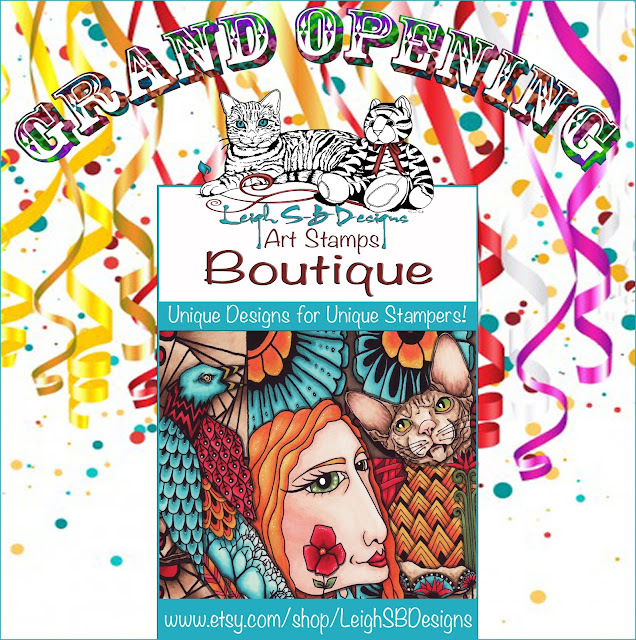 We're busy celebrating the launch of my LeighSBDesigns Art Stamps line and there's freebies up for grabs so continue reading! 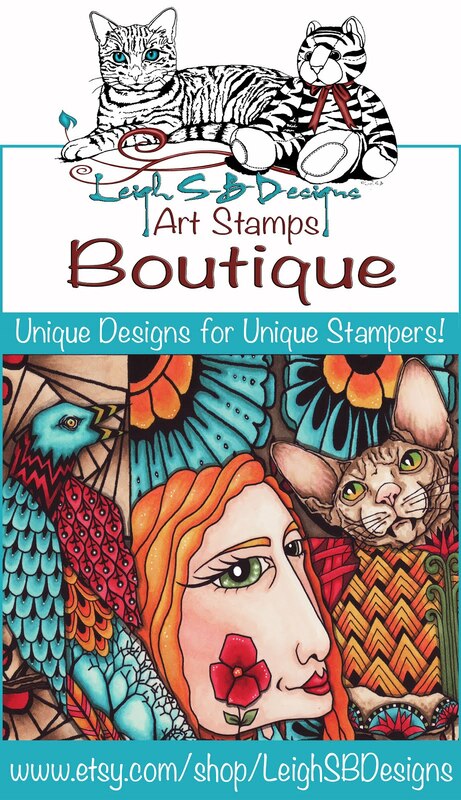 LeighSBDesigns Art Stamps are available for instant download at my Etsy Boutique and I'm currently offering digi stamps for now and will expand my line into rubber too. 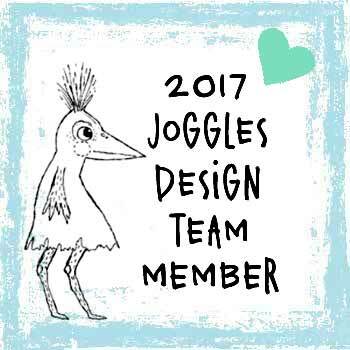 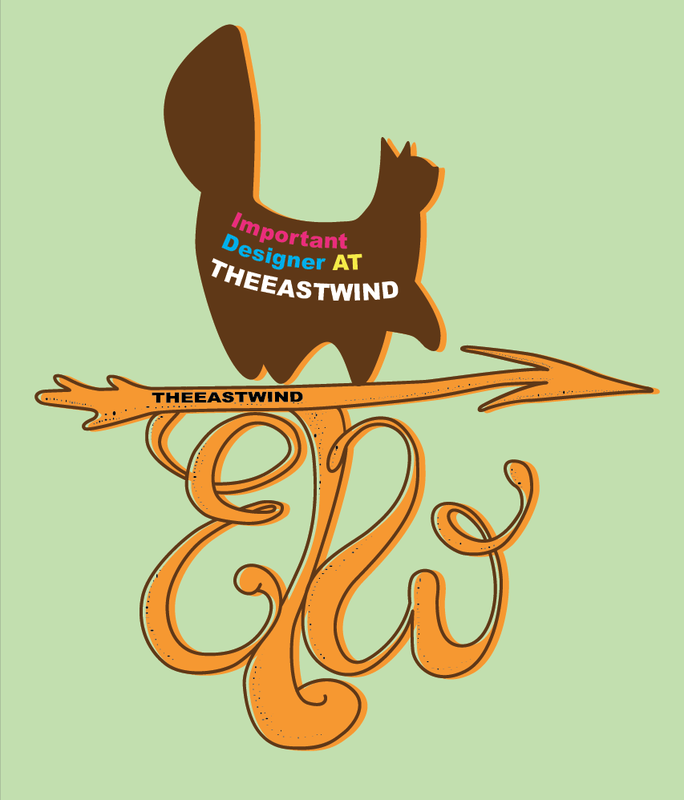 My unique collection of whimsical and quirky original designs are based on my drawings and photography! 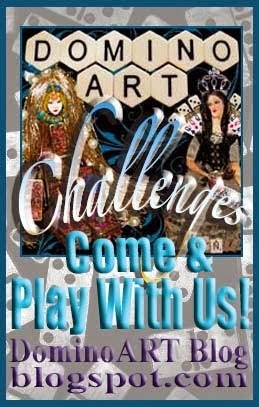 It will constantly be morphing and expanding as inspiration takes me off on new adventures. 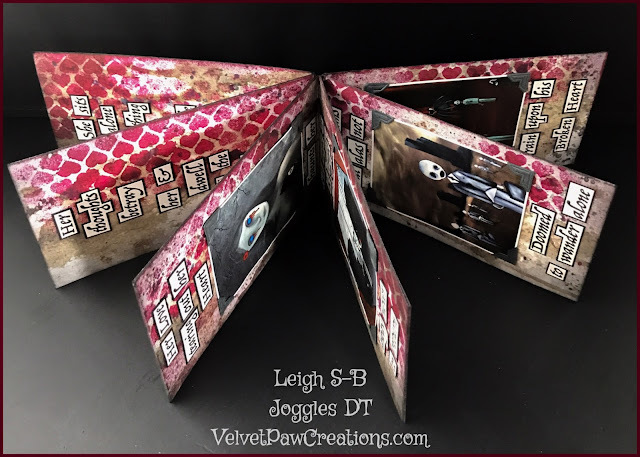 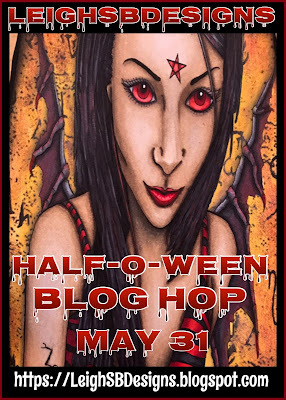 I see beauty in everything from cute kitties to creepy skulls and my collection of themes, styles and genres will be sure to appeal to everyone. Join me as I release a new digi image every 3 days until my Etsy Boutique is stocked with all the designs I'm excited to offer you😊 You will have 3 days to take advantage of my special intro prices until I release the next new image on the 4th day. 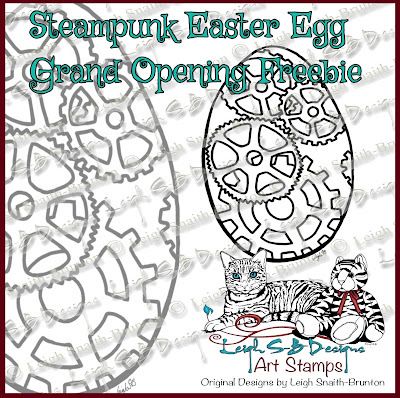 Receive this freebie Steampunk Easter Egg digi when you join my LeighSBDesigns Facebook Fan Group! 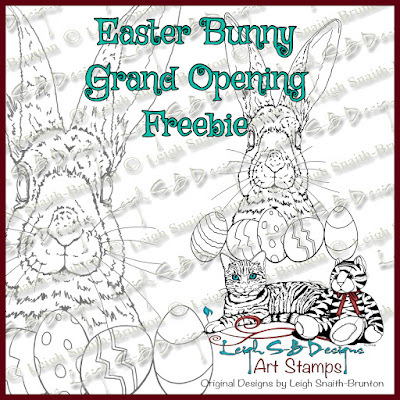 Help me spread my grand opening news and receive this cute freebie Easter Bunny digi! 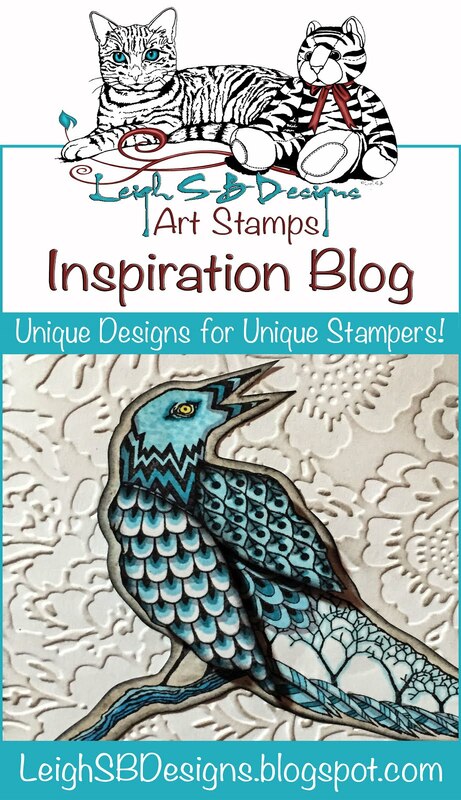 Do me the honour of writing a post on your blogs, tell you readers all about LeighSBDesigns Art Stamps and how they too can receive these freebies! 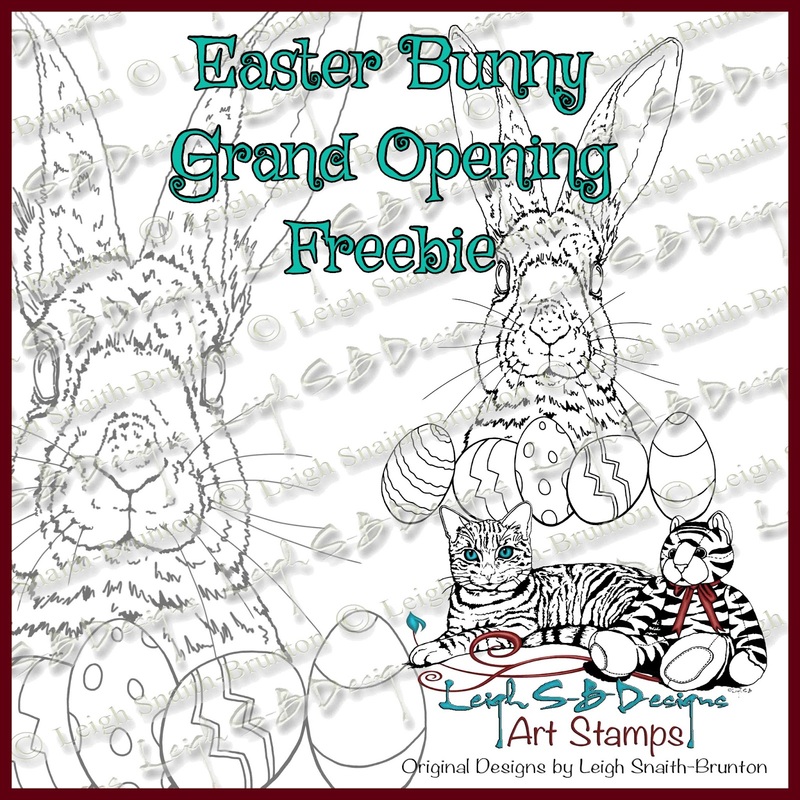 Post links to your blog posts in the LeighSBDesigns FB Fan Group and this Easter Bunny is all yours! 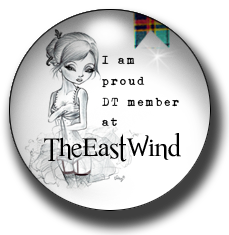 Freebie #2 for blogging my news on your blogs! 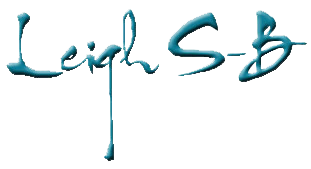 See you in my LeighSBDesigns FB Fan Group soon and check in tomorrow for my next new release! 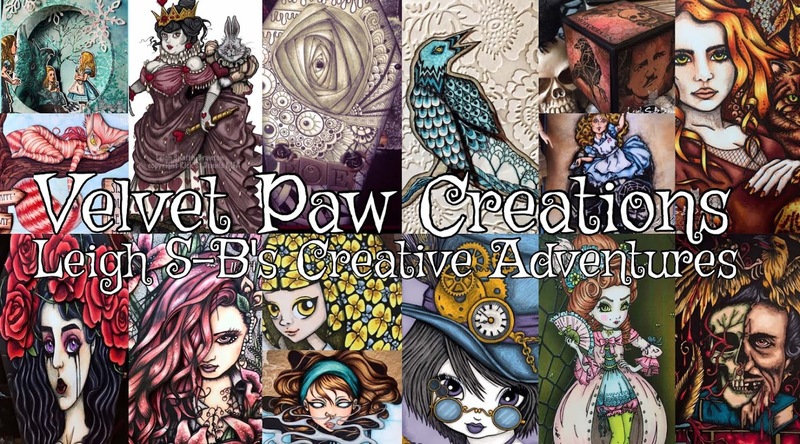 I hope you'll stay and follow me on all my creative adventures!